Readers have been reacting with mixed views after business leaders warned that drivers could be ‘priced out’ of Edinburgh city centre as Sunday parking charges are rolled out. Evening News readers have been reacting to the new charges, which have drawn criticism from the Federation of Small Businesses. 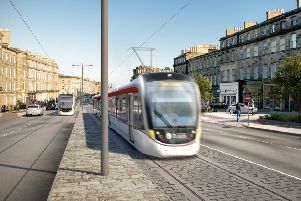 But several other readers say the business impact has been exaggerated and that more people should be using public transport instead. “Why on earth would the majority of drivers be priced out when a single on the bus costs £1.70? “I’ve no problem with the bus, but I’m more likely to just use Amazon in this event.